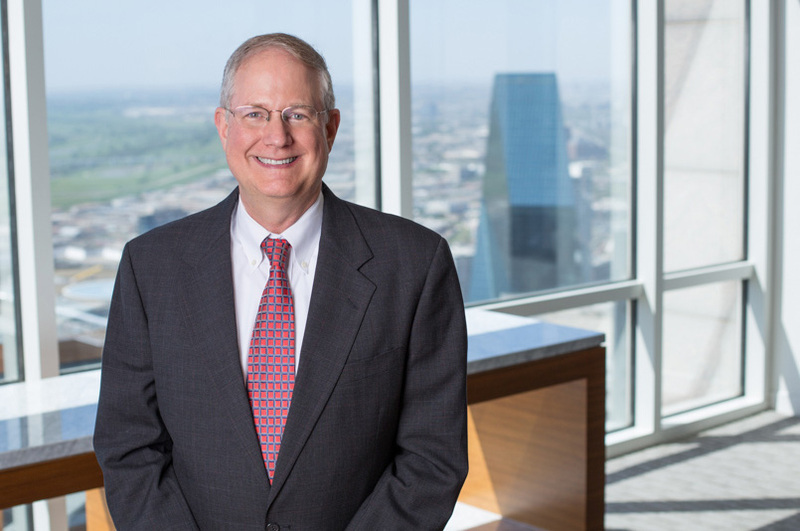 Wes Musselman is a Principal in the Dallas office of Fish & Richardson P.C. His practice emphasizes patent prosecution and patent litigation. Mr. Musselman has extensive experience managing intellectual property portfolios, licensing matters, and intellectual property litigation. Mr. Musselman was a United States Patent Examiner examining in the mechanical arts. Wes was named one of the top 3,000 lawyers in the nation for 2006 by Lawdragon.com, and has been named a Super Lawyer for Intellectual Property multiple times. Super Lawyers identifies the top 5 percent of attorneys in each state, as chosen by their attorney peers and through the independent research of Law & Politics. He was also selected by the members of the Dallas bar as one of the “Best Lawyers in Dallas” in the field of Intellectual Property Law in 2005 and 2007, as reported in D Magazine. ​American Intellectual Property Law Association; American Bar Association (Intellectual Property Law Section); Texas Bar Association (Intellectual Property Law Section); Dallas Bar Association. Speaker, with Stephen Pinkos, Deputy Director of the U.S. Patent and Trademark Office, on the impact of the proposed new Patent Office rules at a Dallas Technology Business Council presentation (December, 2006). Speaker on Indirect Infringement at the 8th Annual Advanced Patent Law Institute, Austin, TX (October 29-21, 2003). The Supreme Court Agrees to Review the Federal Circuit’s Festo Decision, Corporate Counsel (September 2001). Realtime Data, LLC v. Morgan Stanley, et al. (E.D. Tex. – Judge Davis) – Represented Merrill Lynch and Bank of America in a patent infringement action related to efficient compression and decompression of financial data. DataTreasury Corp. v. Bank of America (E.D. Tex. – Judge Folsom) – Represented Bank of America in a patent infringement action related to image-based check processing. Alcatel-Lucent v. Amazon, et. al. (E.D. Tex. – Judge Davis) – Represented Amazon, Netflix, Sears and Lands’ End in a patent infringement action related to internet retailing. JuxtaComm v. Ascential, et al. (E.D. Tex – Judge Davis) – Represented Microsoft Corporation in a patent infringement action related to transfer of data between heterogeneous databases. Landmark Graphics Corp., et al. v. Paradigm Geophysical Corp. et al. (S.D. Texas – Houston) – Represented Halliburton entity, Landmark Graphics, in patent infringement litigation over 3-D seismic imaging; case settled. TouchCom Technologies, Inc. v. Dresser, Inc. (E.D. Tex. – Judge Ward) – Represented Dresser, Inc. in defense of a patent infringement action involving software for touchscreen fuel dispensers; obtained summary judgment of invalidity of all claims of plaintiff’s patent. Cargill Meat Solutions Corp. v. Swift & Co. (N.D. Tex. – Lubbock) – Represented Cargill Meat solutions in a patent infringement action involving electrical stimulation to improve tenderness of beef; case settled.